If you have been following my blog since I started writing it, you will of course know I am from the Philippines. What you may not know is music is the lifeblood of the Filipino. We live and breathe music, we romance each other with music it is in our very soul. Most Filipinos can play a musical instrument, being a banjo, ukelele, or an instrument familiar to a native tribe, but the ultimate is the classical Spanish Guitar. 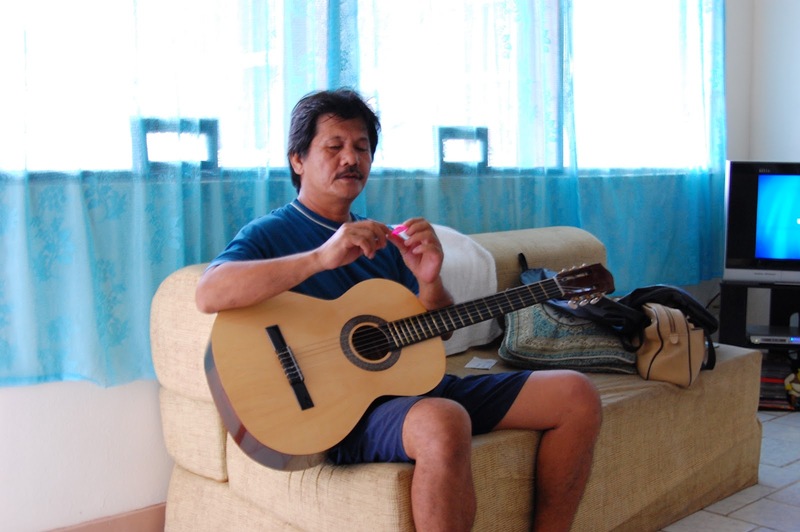 Playing a guitar evokes images of gentleman wooing their sweethearts in the tradition of the Ligaw (courting). I had always wanted to buy a guitar but it was too expensive for us to afford. Until I met my husband. When we were courting he took us on a trip to Cebu and while there we went to Mactan Island he bought me a classical Spanish Guitar. The guitars of Mactan are as good as Benedetto guitars. It was at that point that I discovered that learning how to play a guitar is hard, especially getting it in tune. I did eventually learn some simple things with the guitar but it was my brother who really excelled in learning how to play. Now all I need is some kind of microphone like this sennheiser ew 112-p g3. When he was over our house he would sit endless hours just strumming the strings and learning songs. Now that I am in the USA with my husband, I left the guitar with my brother, but I rather miss it now and wish that I had brought it along with me. I also love playing drums but I'm not as good as my brother, how I wish I have the talent for that too. My brother has a set of Drums that he got inherited from our Uncle, who is a good drummer also, he even had a group of bands when he was in college.